From the Top’s popular weekly NPR radio show is recorded as a live concert event in communities large and small all across America. A live recording of From the Top is a community-wide celebration of music, education, and family programming with hosts that range from radio stations to performing arts presenters to large and small and conference planners. 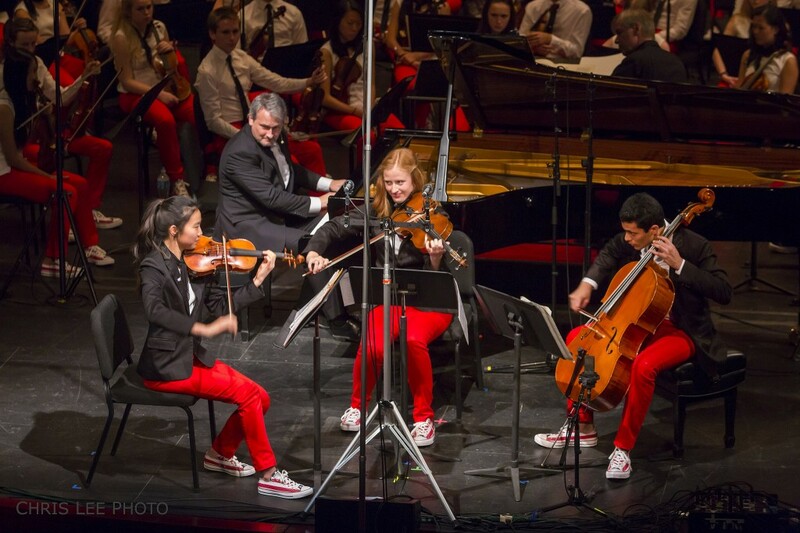 From the Aspen Music Festival to Philadelphia’s Kimmel Center; the Kahilu Theatre in Hawaii to the Chandler Music Hall in Randolph, VT, From the Top has proven to be a great way to make a strong statement about your commitment to youth and cultural programming. The live show generates media coverage (both for the live concert and the subsequent airing of the show on NPR stations nationwide), revenue, goodwill for presenters, and affords significant outreach opportunities through talent search and educational projects.